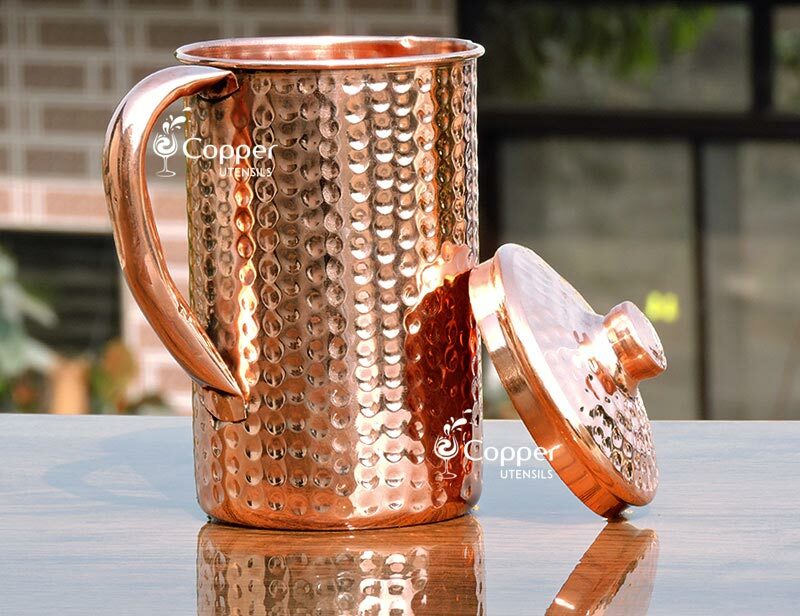 Suitable for storing salt and pepper. 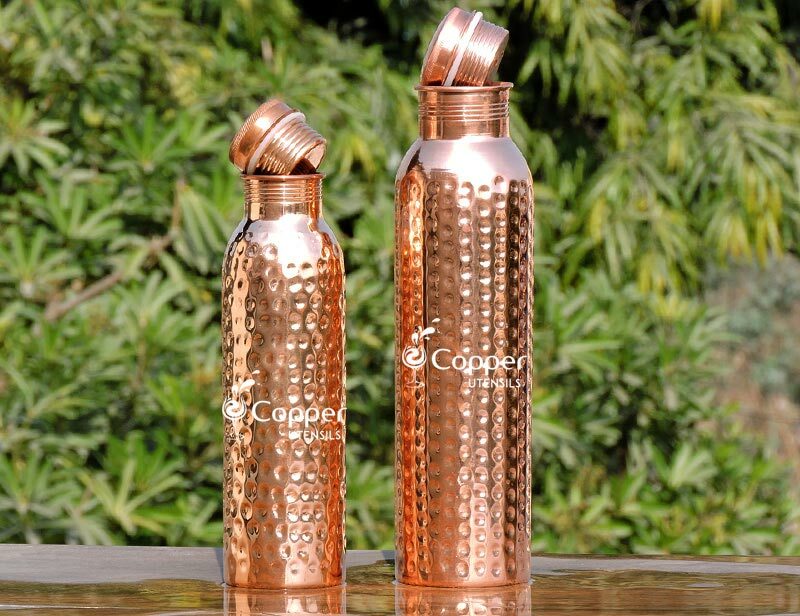 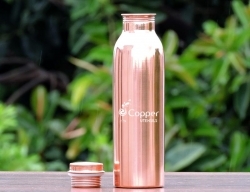 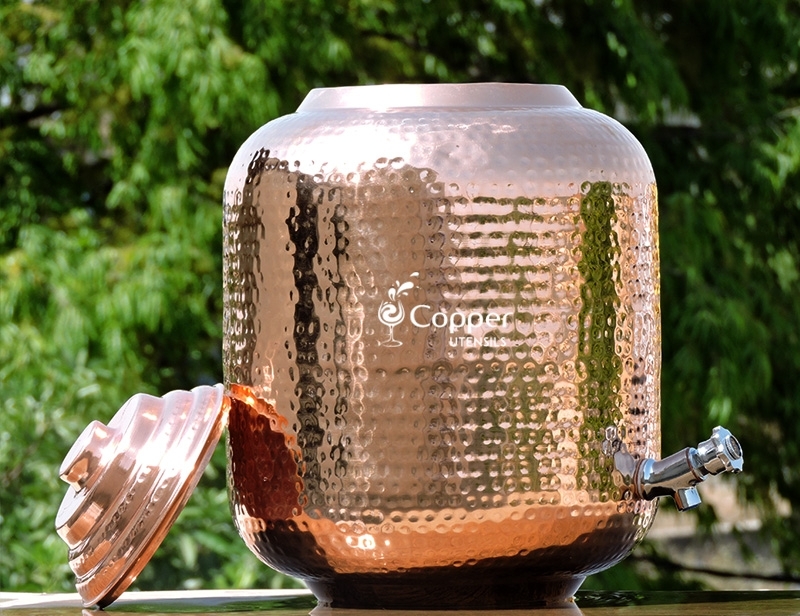 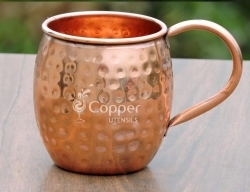 Made of pure copper and brass. 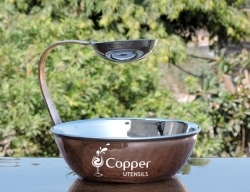 Lacquer coating to maintain the shine. 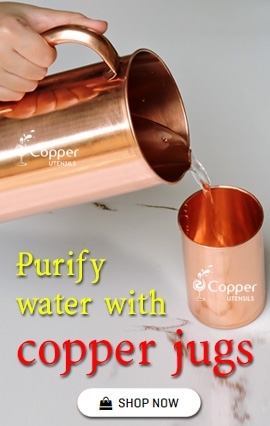 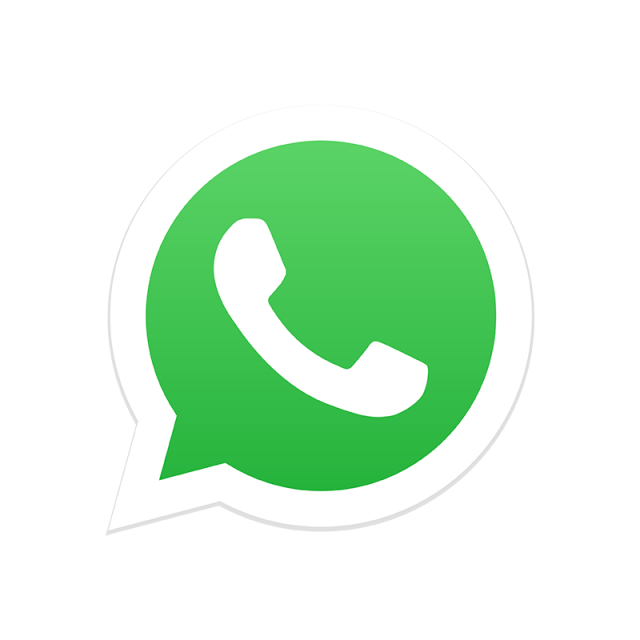 Can be wiped clean with a cotton cloth dipped in warm water. 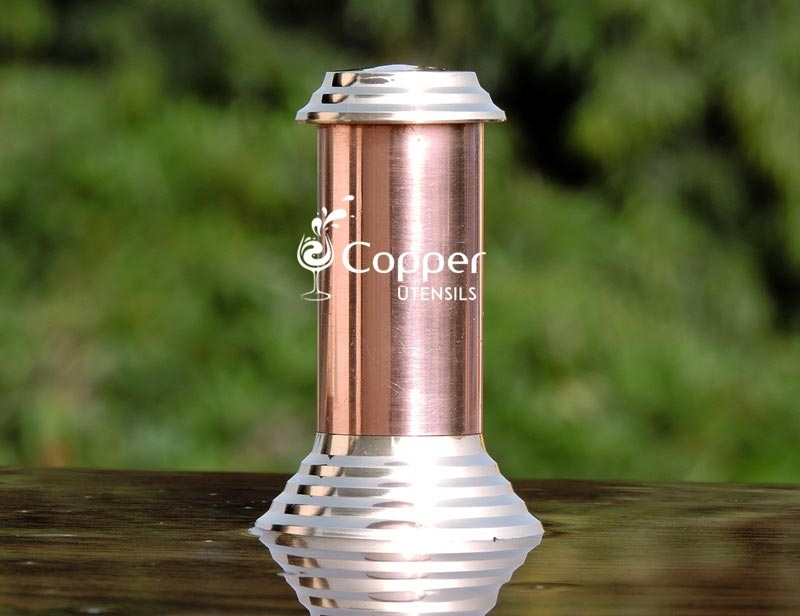 This classy copper and brass salt dispenser/sprinkler is a comfortable and handy way to store and use your condiments without spilling or wasting any contents. 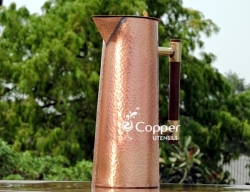 Along with that, the copper and brass finish of this salt dispenser/sprinkler adds a vintage vibe to your dining experience. 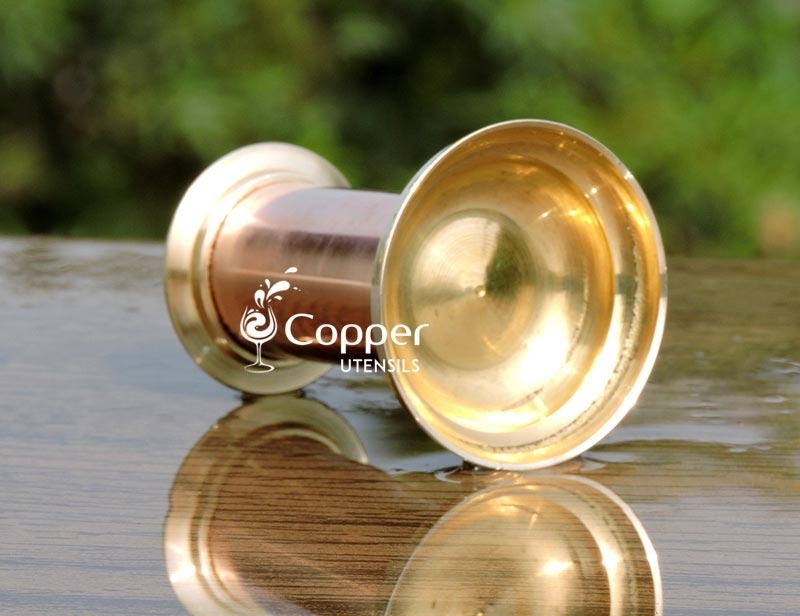 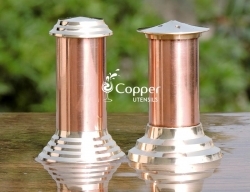 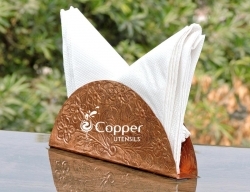 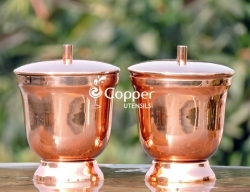 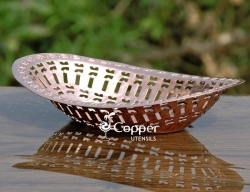 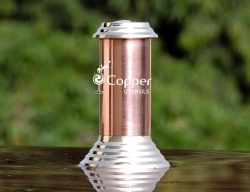 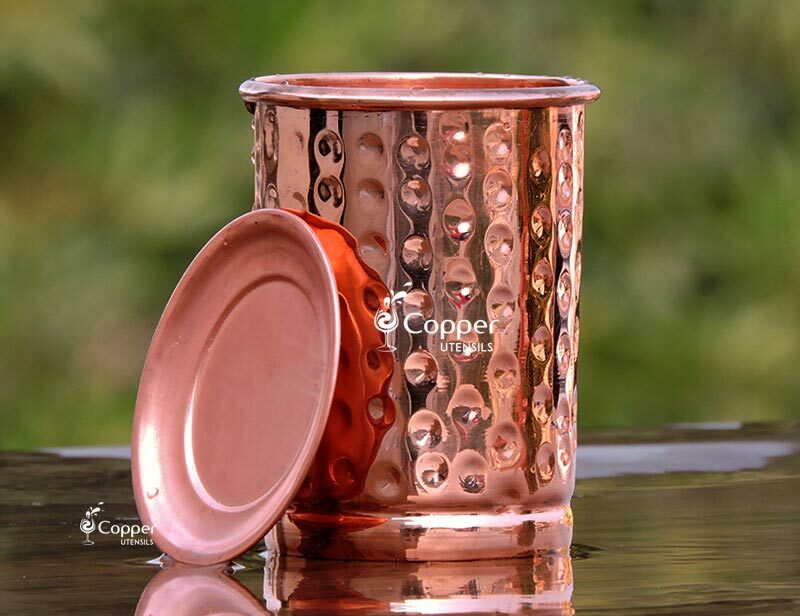 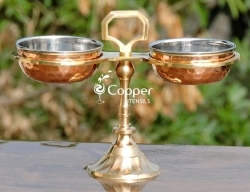 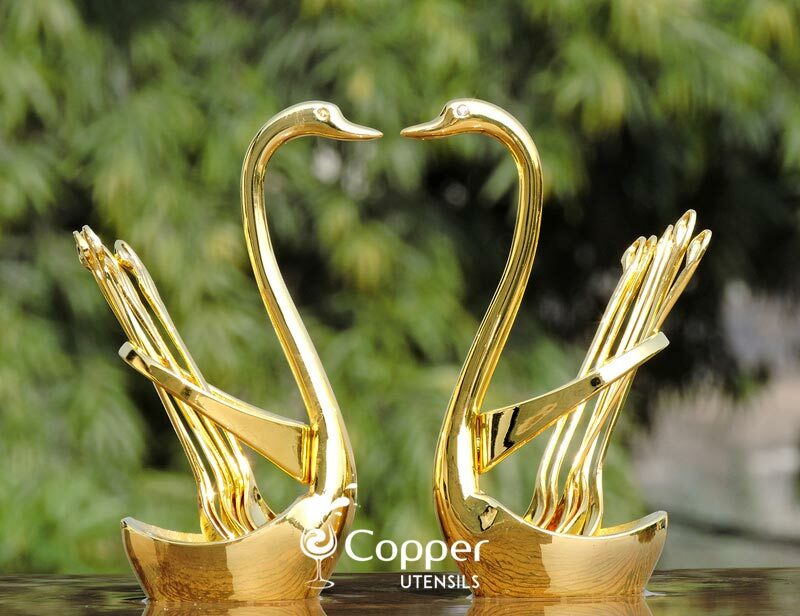 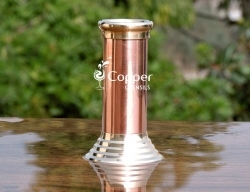 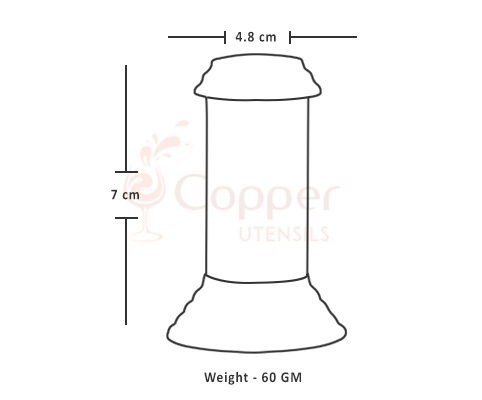 Keep this copper and brass salt dispenser/sprinkler on your dining table for added grandeur and appeal.